WNY PRISM is now hiring 2019 Seasonal Positions! WNY PRISM is currently hiring Boat Stewards/Environmental Educators! We are now accepting applications for Boat Stewards/Environmental Educators (~20) and Lead Boat Stewards (1-2). WNY PRISM Boat Stewards/Environmental Educators will interact daily with the public at boat launches. Stewards will perform voluntary boat inspections to remove visible aquatic plants and animals from all types of watercraft. Removal of aquatic plants and animals will help to prevent the transport and spread of aquatic invasive species. Stewards will also be responsible for public education and distribution of educational materials. Boat Stewards will also have the opportunity to assist with invasive species removal projects. 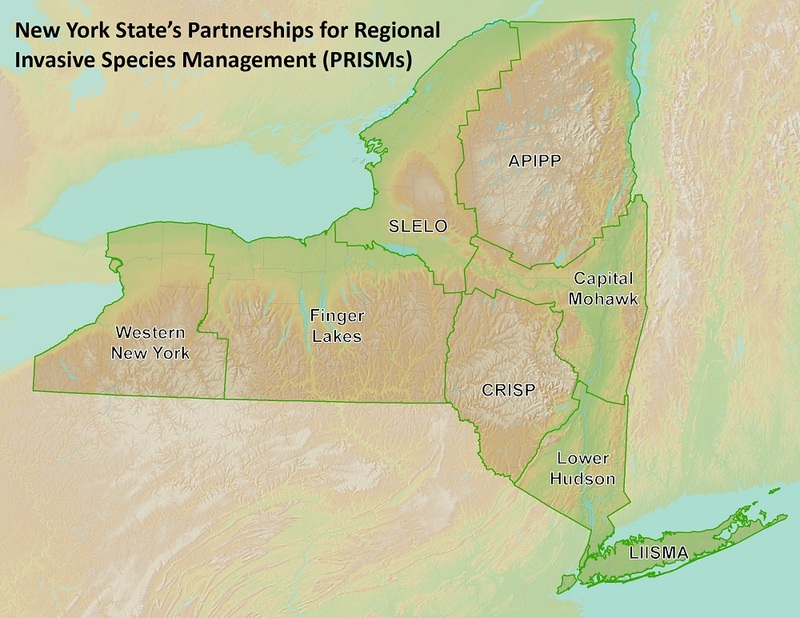 Projects may include early detection/rapid response efforts, or control projects to reduce established populations of both aquatic and terrestrial invasive species. Stewards will generally cover a single launch, however there is the potential for coverage needs to require occasional travel to other launches. Stewards will receive a mandatory two-day training prior to beginning work at their assigned sites. Lead Boat Stewards will assist the Program Manager with training, scheduling and Boat Steward supervision for the Watercraft Inspection Program. Positions are full-time, temporary (40 hours/week @ $14.00/hr.) with an expected time frame of mid-May – early September (Memorial Day – Labor Day), approximately 15 weeks. Boat Stewards will be required to attend a two-day mandatory training May 20 – 21, 2019. The work week will be comprised of 4, 10-hour days, Thursday – Sunday. Weekends and Holidays are mandatory. Please see full job description and apply online at: https://www.rfhiring.com/jobs.asp. The deadline for applications is Friday, March 22, 2019. Applications may be reviewed prior to the closing date. Please follow all application directions, failure to do so may disqualify you from the position. Please provide cover letter, resume, and 3 professional references as a single attachment. WNY PRISM is seeking students in need of an internship to fulfill class requirements, or those otherwise looking for professional experience as they prepare for their careers. WNY PRISM is hosted by the Great Lakes Center at Buffalo State, and is willing to accept interested students from any local university or college. Interns are accepted for spring semester only (Jan – May), but applications are accepted throughout the preceding fall semester. Interested students must submit a resume, internship requirements (if applicable) and a project idea. For more information, please contact Andrea Locke, WNY PRISM Coordinator at [email protected]. *Additional job opportunities with our Partners are distributed through the WNY PRISM Listserv. To sign-up for the listserv, see instructions in the column on the right.